Sony launched the Xperia R1 and R1 Plus in India last year in October with Android 7.1 Nougat running out of the box. These are mid-range smartphones from Sony and recently Sony has confirmed the Android 8.0 Oreo update on these smartphones. The company has promised this update when the smartphones were released, and now these smartphones are getting the Android 8.0 Oreo via OTA update. 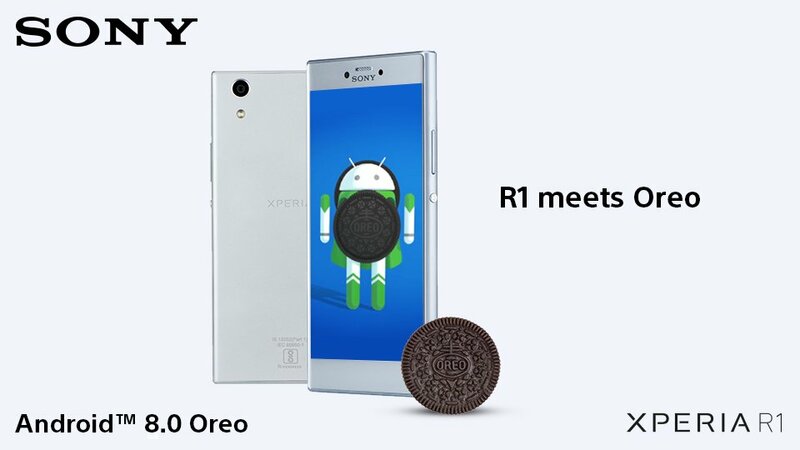 The Android 8.0 Oreo update brings all the stock Android Oreo features on the Xperia R1 and R1 Plus but with a little bit of touch from Sony. Sony doesn’t heavily customize the user interface on their smartphones but you might get some icons and some settings which will be different from the stock Android OS. The new Oreo update comes with a feature that reminds you of the unfinished tasks like email in the drafts. The update also brings a feature called Xperia Actions which learns about your apps usage and will suggest you new games and apps to download. You will also be able to use Contextual menus for app shortcuts which we saw on Android 7.0 Nougat where you see a menu when you long press an icon. This new Android 8.0 Oreo update will also bring stock Android 8.0 Oreo features like Notification Channels, improved background limits, Snooze Notifications, Picture in Picture mode to open videos on a floating popup window. The Android 8.0 Oreo update has the build number as S001011_180422.